The outdoor area of a home should be just as attractive, comfortable and fascinating as the interior, and this before and after Ideabook showcases the stylish and dramatic renovation of a simple balcony. 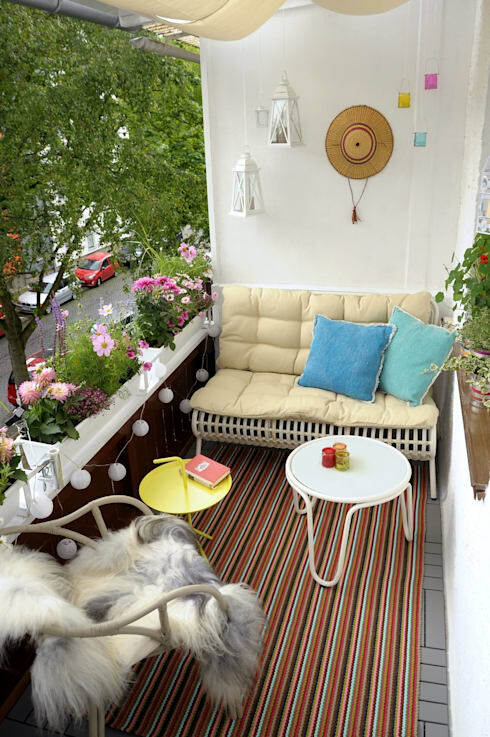 This feature aims to display just how fantastic a balcony can become with a little creativity and imagination. You may just rethink that under-utilised balcony in your home and this team of awesome architects show you the inspirational possibilities that are available to you! This is just one corner of the balcony, but the effect is already amazing! The outdoor seating is great to catch a nap in the afternoon sun, or read your favourite novel in fresh air. The addition of furniture, flowers and accessories creates a magical and comfortable impact to this outdoor area that could just end up being the hub of social activity for the apartment. 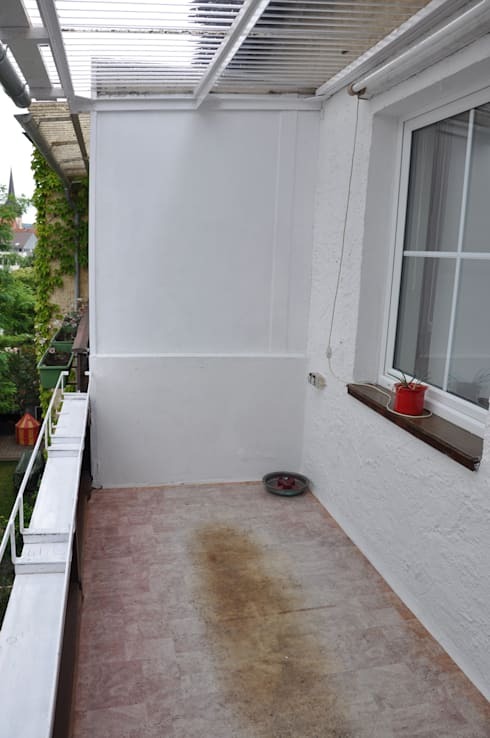 This balcony wad dull and neglected before the revamp, and it needed a lot of TLC to be a little more comfortable, usable and attractive. The floor had bad water stains and was in a dishevelled state. 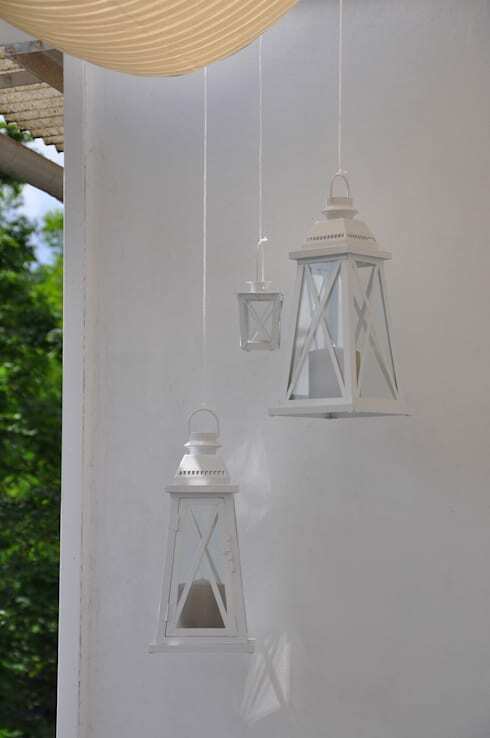 These stunning lanterns add a stylish aesthetic to the outdoor zone, and is the perfect way to make the balcony usable at any time of the day or night. The candles will add a romantic ambiance to the space, which is even more attractive and relaxing than any old artificial light. 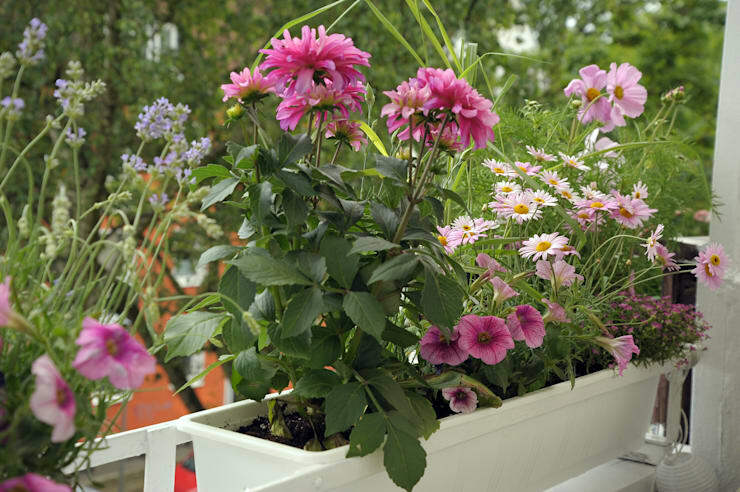 These pink petunias are an awesome choice to make this balcony a lot more comfortable and aesthetically appealing. The pop of colour is just the stylish feature that this outdoor area needs. The walls of this balcony were a blank canvas for décor, which is why a decorative shelf is a great choice for storage and style. 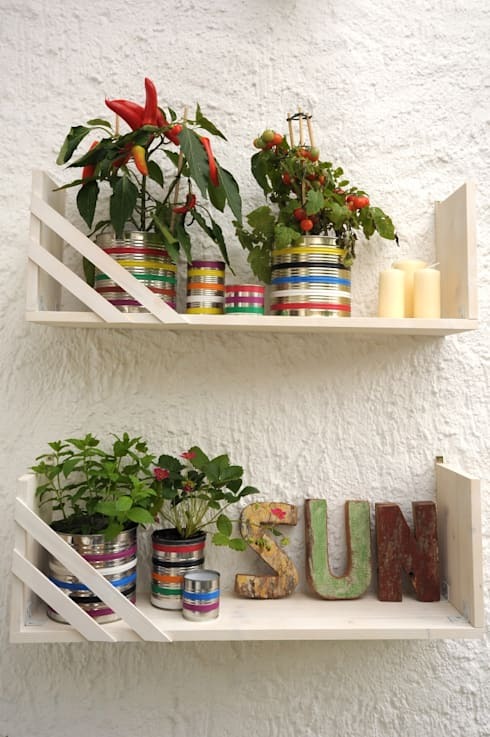 The repurposed tins were decorated in colourful stripes and are now adorable planters for herbs and flowers. The candles placed here are for those evenings when the fresh air of the outdoors is all you need for comfort. This is the street view of the balcony, it’s so friendly and warm that the look is infectious! Passing by this apartment would leave anyone hoping to see more of the cheery balcony. 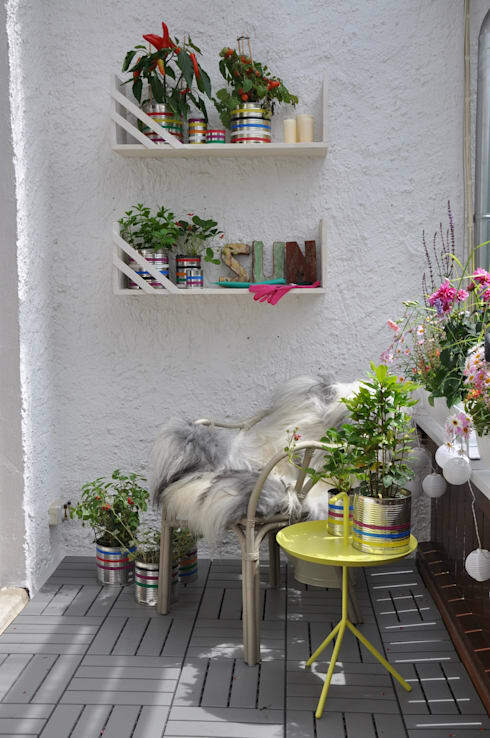 This is the other corner of the balcony, a plastic chair was made a bit more comfortable with the addition of some faux fur and a glamourous side table, enjoy the simplicity of the balcony and feel stress free too. Now that we've come to the end of this Ideabook, From an old ruin to lovely family home is a great read if you enjoy happy endings. 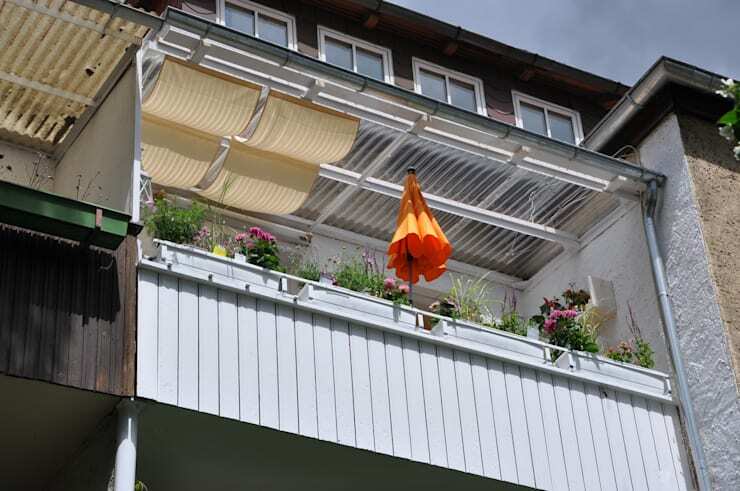 Would you like a useful balcony like this?